Imagine, if you will, that you have been invited to a party; a birthday party. All of your friends, loved-ones, acquaintances and some of your enemies are in attendance. The place is all decorated and adorned with the trimmings for the gala affair. The gifts are in abundance and everyone seems to be having a good time! But, wait a minute, something is wrong! It suddenly occurs to you that everybody is at this party except the birthday person; the guest of honor! You inquire to the host as to the whereabouts of the honoree, and much to your dismay, you discover that the guest of honor was not even invited to his own birthday celebration! Furthermore, you discover that not only was he not invited, should he happen to show up, he would not be welcomed! Sounds ridiculous, doesn’t it? But, is this not the case with many of our Christmas celebrations today? It seems as if this world is determined to celebrate a Christ-less Christmas! Although he is the reason for the season, in many homes he is not welcome. Many have X-ed him out and replaced the babe in a manger with a fat man in a red suit! Now, I don’t mean to be a scrooge, but I think we ought to be more mindful of the real reason for this season. Some commentators have said that the verse of our text is perhaps one of the saddest in the Bible. “He came unto his own, and his own received him not!” Let’s take a few minutes now to take a closer look at this text and see what application it has for us today. First of all, notice that the text says, “He came!” Oh! What a wonderful statement! He came! He came! God breaking into the plane of human existence! He came! Because we were unable to go to Him; He came to us! He came! The Word of God manifested in the flesh! He came! God intervening into human history to give us HIS-Story! For ages, God had been telling men the way, with the advent of Jesus, He provided a living illustration to show us the Way! He came! God’s idea manifested in the flesh; the embodiment of the faith. He came! Immanuel; “God with us!” Oh, I don’t know about you, but I’m glad that He came. Because He came, I can have life and have it more abundantly! Because He came, I can face tomorrow! Because He came, life is worth the living! Oh! I’m so glad that He came! Yes! He came! He came unto His own! He came unto His own world. John wrote: “All things were made by him; and without him was not anything made that was made.” It was His own because He was active in creation! He was there when the statement was made, “Let us make man!” Hebrews says that the world is upheld by the word of His power! Yes! He came unto His own world; His own creation, and His own creation did not receive Him! The Creator was rejected by the creature! He came unto His own people! He was sent to the lost sheep of the house of Israel. In Matthew’s gospel, it is reported that Jesus sent out the disciples with instructions to go not the way of the Gentiles, but rather to go to the lost sheep of the house of Israel. One day a Syrophenician woman came to Jesus seeking his help, to whom Jesus replied, “I am not sent but unto the lost sheep of the house of Israel.” He came unto His own people, but overall, He was rejected by them. Even his own family had doubts about him, John 7: 5 says that even his own brothers did not believe in him. But not only was he not welcomed by his own creation and his own people, he was not welcomed by his own religion. The scriptures that the Pharisees and scribes studied testified of Jesus, yet the religious authorities refused to acknowledge him as the Messiah! Yes! He came unto His own! He came unto his own and his own received him not! Yes! His own rejected the Christ and crucified him upon a Roman cross. His own refused to acknowledge him as the Messiah! His own refused to accept him as Lord. But why? Why was it that he came unto his own and his own received him not? Well, His creation refused to receive him because of the same reason that they were in rebellion against God! Jesus said that men loved the darkness rather than the light because their deeds were evil. When John wrote that Jesus was the light and that the light was shining in the darkness and the darkness comprehended it not, there was a dual meaning. One of the distinctive characteristics of John’s gospel is that it is full of dualism. By dualism, we refer to those words and concepts within this gospel writing that has more than one meaning. For instance, in John chapter three, Jesus told Nicodemus that a man must be born “anon.” The Greek word has two meanings which are both equally applicable in this context. The word means, “again”: Ye must be born again! But it also means “from above”: Ye must be born from above! Both concepts are equally valid. In order to see (perceive or understand) the Kingdom, one must experience a second birth and that birth must be of a spiritual nature: from above! So, when John wrote, what the King James Version interprets as “comprehend,” the Greek word is “katalambano,” which has the dual meaning of “understanding” or “comprehension” and “overcoming.” Hence the darkness did not understand the light neither did the darkness overcome, defeat, or extinguish the light. The world did not accept or receive Jesus because the world was in darkness! His family according to the flesh and the Jews in general did not receive him because he came as a suffering servant and they were expecting a reigning king! That’s the way it is you know, when you don’t measure up to other folk’s expectation of you, they will reject you! Jesus came preaching a spiritual gospel, proclaiming deliverance from sin, but what the Jews wanted was a political manifesto declaring their independence from Rome! Tradition has it that Barrabas was also named Jesus and that he was a political insurrectionist. Hence the Jews wanted Jesus, the insurrectionist rather than Jesus the Christ. There are many people today who claim to be followers of Jesus. But the question is, which Jesus? The Jesus of the Bible; the Son of God or a Jesus of our own making? Yes, he came unto his own and his own received him not! But thank God today! The rejection was not total! There were some who welcomed his arrival, And, behold, there was a man in Jerusalem, whose name was Simeon; and the same man was just and devout, waiting for the consolation of Israel: and the Holy Ghost was upon him. And it was revealed unto him by the Holy Ghost, that he should not see death, before he had seen the Lord’s Christ. And he came by the Spirit into the temple: and when the parents brought in the child Jesus, to do for him after the custom of the law, Then took he him up in his arms, and blessed God, and said, Lord, now lettest thou thy servant depart in peace, according to thy word: For mine eyes have seen thy salvation, Which thou hast prepared before the face of all people; A light to lighten the Gentiles, and the glory of thy people Israel. And Joseph and his mother marveled at those things which were spoken of him. And Simeon blessed them, and said unto Mary his mother, Behold, this child is set for the fall and rising again of many in Israel; and for a sign which shall be spoken against; (Yea, a sword shall pierce through thy own soul also,) that the thoughts of many hearts may be revealed. And there was one Anna, a prophetess, the daughter of Phanuel, of the tribe of Asher: she was of a great age, and had lived with an husband seven years from her virginity; And she was a widow of about fourscore and four years, which departed not from the temple, but served God with fastings and prayers night and day. And she coming in that instant gave thanks likewise unto the Lord, and spake of him to all them that looked for redemption in Jerusalem. Oh! Joy to the world, the Lord is come! Let earth receive her King! Let every heart prepare him room, And Heaven and nature sing! Oh! Joy to the earth! The Savior reigns! Let men their songs employ! While fields and floods, rock, hills and plains, Repeat the sounding joy! Yes! You ought to go tell it on the mountain! Over the hills and everywhere! Go tell it on the mountain that Jesus Christ was born! Imagine this scenario if you will: You are at a party and the place is filled with people! Everyone seems to be having a good time; laughing, singing, drinking, and just having a ball! All of your friends are there and many people you don’t even know! There is a chair sitting in the middle of the room, draped with decorations and festival ornaments. The chair is the one reserved for the guest of honor; the person whose life and birthday is the occasion for the festivities. But, wait a minute! The chair is empty! The guest of honor is nowhere to be found! You ask those hosting the party the whereabouts of the guest of honor and they return your inquiry with a puzzled look on their faces. Finally, they answer you; admitting that the guest of honor was not even invited! He was not invited because he wouldn’t have approved of much of the activity that was going on at the party in his honor! Then they tell you that not only was the guest of honor not invited, he wouldn’t have been welcomed! Sounds like an incredible scenario, doesn’t it? But isn’t that exactly what happens every year with most Christmas celebrations? I mean, think about it! Do you really think Jesus would be invited, pleased or welcomed at most of our office Christmas parties? How dare we have parties of revelry and debauchery to celebrate the coming of the Holy Son of God? Would Jesus lift up a glass filled with eggnog and Hennessy to toast at our celebrations of His birth? And what about the gifts and the giving? In the biblical text, the Wise Men brought and gave gifts to Jesus; not to one another! What kind of birthday party is it when the guests give gifts to one another but not to the honoree? Now, I hope you don’t think I’m trying to be the Scrooge or the Grinch who stole Christmas! I’m just simply saying that by and large, we celebrate a “Christ-less Christmas!” A “good Christmas” for most of us usually means we got the gifts we wanted, but it should mean the presence of the Christ in our lives! In the midst of the Black Fridays, Gray Thursdays, and Cyber Mondays, we’ve lost the real meaning of the season! Christmas is really about what money cannot buy: The coming of the Savior! Peace on Earth and good will to all men! So if you don’t have spending money for presents and gifts for the ones you love, the best gift you can give them this Christmas is the gift of yourself! Give your love, time, and attention to your family! Give loyalty and dedication to your friends! Give the gift of the Gospel to those who have not personally met the Guest of Honor! I purposely delayed in writing this post because I didn’t want you to think that I am a “scrooge!” Even now, as I am writing this post, there are presents under the Christmas tree in my den. But I think we have lost the real meaning of Christmas! It seems that for many people, Christmas is about receiving, but it really should be about giving. Now, you might be saying; Isn’t all the shopping about giving? Well, in a sense it is, but how many of you know that most people shop and give in the hope that someone else is doing the same thing for them! But, that is not the real reason for my writing this post. I am writing because of the irony that surrounds Thanksgiving Day and Black Friday. By definition, Thanksgiving Day is a day to be thankful. And to be thankful is to express gratitude for what you already have. But isn’t it a bit ironic that the very next day, after a day of being thankful for and content with what we have, we are encouraged to go out and shop and that shopping is motivated by the discontentment of what we don’t have? Think about it! On Thursday, we sit at the table surrounded by family and friends and express thanks for what we have. Then on the very next day, we go out and shop among the maddening crowds, motivated by discontent, to get the things we don’t have! I would like to suggest that perhaps the Thanksgiving holiday for many people has degenerated into just a day to rest up for Black Friday! And this year, an increasing number of merchants were not content to leave Thursday alone! 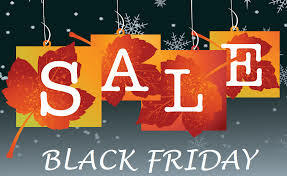 In order to get a leg-up on sales and take advantage of the holiday, some stores were open Thanksgiving Day! We already have Black Friday, Small Business Saturday, and Cyber-Monday, now we are being introduced to Gray Thursday! Who knows, perhaps there will come a time when we will no longer celebrate Thanksgiving by sitting around the table being thankful with our families but rather spend the day shopping in the mall. I don’t know about you, but I think it is a bit much! The only ones who will be truly thankful for that will be the turkeys! What do you think? 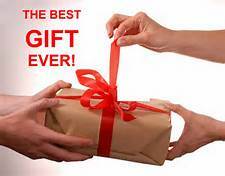 The best gift you can give this Christmas or at any other time cannot be found at a sale on Black Friday, Gray Thursday or even on Cyber Monday! On Christmas morning, you will not find it neatly wrapped in pretty paper and bows beneath the Christmas tree. It cannot be found in the electronics, toys, jewelry, or the hardware departments. In fact you will not find it in any store and it is not for sale at any price! What is the best gift you can give? The best gift you can give is yourself! The Apostle Paul commended the church at Corinth in II Corinthians 8:5b by saying; “. . .but they first gave themselves to the Lord and to us by the will of God.” (NASB) Although this church was also in need, they gave beyond what they could afford in Paul’s effort to bring relief to the Jewish saints who were suffering in Jerusalem. The reason Paul gave for their unselfish sacrificial giving was because they first gave themselves to the Lord and then to the Apostles! Once we give ourselves to the Lord, all other giving is secondary. So, what can you give the person who already has everything? You can give yourself! Give your time and your attention! Many times giving yourself is really not dramatic or expensive. You’d be surprised how valuable and appreciated a smile is to a person who is downcast and hasn’t seen one all day! Or what about even a quick visit to the nursing home to spend a few minutes with an elderly person just to talk or perhaps read a book to them? Even in your own home, you can give the gift of authentic family and love! The truth of the matter is this: Your children really don’t need that X-Box or the Play-Station II you just spent your hard-earned cash for! What they really need is you! They need you to spend some quality time with them to guide them, to teach them, to love them! Jared’s Jewelry might tell you all will be well if you went to Jared’s, and Kay’s Jewelry might tell you that every kiss begins with Kay’s, but actually your wife’s or your significant other’s real happiness begins and ends with you giving yourself! Your husband doesn’t need any more tools; wife, he needs you! Children, your funds may be limited and you might feel bad that you can’t get Mom and Dad an expensive gift. But the best gift you can give your parents is to honor them with your obedience! You should determine to make them proud by growing up into your fullest potential. Well, the list could go on and on, but I hope you get my point by now. The best gift doesn’t cost you any money, but yet it is more valuable than all the money in the world because it will cost you yourself! The best gift you can give this Christmas or at any other time is the gift of giving yourself to the Lord and to others by the will of God! Be sure to give yourself this Christmas; it’s the gift that keeps on giving!